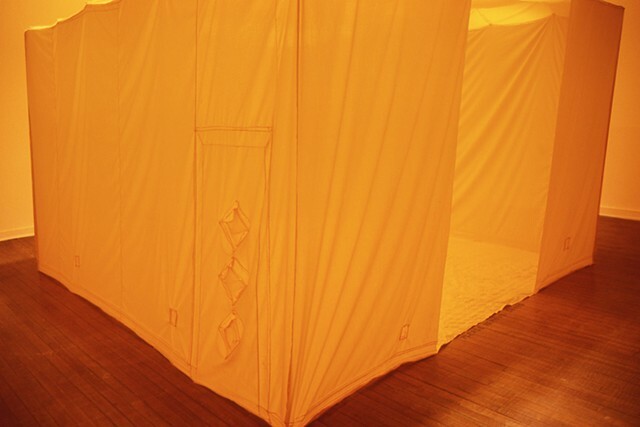 A sewn replica of the exhibition space made out of yellow fabric. The soft room has all of the architectural features of the space around it, at half size. The fabric room is lit from above, casting the room in a yellow glow.